Opening hours: Major banks are open from 9:00 AM - 4:30 PM on weekdays and 9:00 AM - 12:30 PM on Saturdays. Closed on Sundays and public holidays. Most malls and supermarkets are open between 9:00 AM - 10:00 PM. Most restaurants are open until 11:00 PM or later while bars and nightclubs keep going through the night. 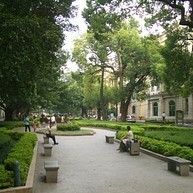 With a history of more than 2,200 years, Guangzhou is a famous cultural city with many interesting sights to explore. Everything from temples to museums, gardens and historical buildings are on offer, as well as sighs that are more modern such as the fun theme park called Chimelong or why not visit Canton Tower, the landmark of Guangzhou City, where you will get amazing panoramic views of the city. If you want get away from the hustle and bustle from the city center, then Baiyun Mountain, also called "the lung of the city" for its restorative greenery, is another must-see sight. 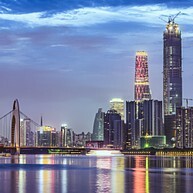 It doesn't come as a surprise that Guangzhou is one of China's top 10 most popular tourist areas, in fact there is so much to do in Guangzhou that you cannot see it all in just one visit, so start planning and fill your list with the most important must-see attractions. Pearl River Night Cruise goes through the heart of the city in 2 hours, depending on the route and if dinner is included. Routes normally pass Shamian Island and return through Renmin Bridge and Haizhu Bridge before winding up at the Gaungzhou suspension bridge. Options include a light show at Bai-e-Tan. Not far from Huaisheng Mosque lies Temple of the Six Banyan Trees. This temple was originally built in AD 537 and has been rebuilt several times. It is one of the four best Buddhist temples in Guangzhou. The sight is well worth a visit because of its vast collection of cultural-relics and the 57-meter-high pagoda garden that dates back to the 3rd century. This museum is renowned for its rare collection of funerary artefacts representing the diffusion of cultures throughout the Lingnan region during the Han dynasty. One of the highlights is the tomb of king Zhao Mo dating back about 2,000 years and other exhibits include gold, jade and other trinkets from the same period. 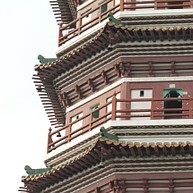 Huaisheng Mosque boasts Guangta, believed to be the world’s oldest minaret outside Mecca dating back to the 7th Century. The mosque was the pivotal point of the 15th century foreign quarter but is open only for Muslims or tour groups. Guangzhou's oldest Buddhist temple dates back to at least 113 BC. It was visited by the Indian founder of Chan Buddhism Bodhidharma and is a peaceful and spacious haven of tranquility within the city. China’s biggest park covers an expanse of 90 hectares. Amid all the greenery it includes a hall built in memory of Sun Yatsen, the man considered to be the founder of modern China. It also has the oldest and largest Taoist temple Sanyuan Gong, in Guangzhou, dating back to 319 AD. 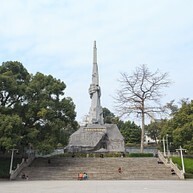 Martyrs' Memorial Gardens is a poignant memorial to the 5,000 plus victims of the 1927 communist uprising. 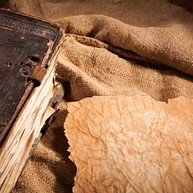 The people who were promised reinforcements saw their dreams crash and died as they were left to the mercy of the army. An approximately two hours' bus ride from Guangzhou, Lotus Hill, sits in the eastern outskirt of Panyu City (about 45km southeast of Guangzhou). Its beautiful scenery is shrouded in a fairytale-like atmosphere and a dramatic backdrop of red sandstone cliffs, untamed forests and scenic grottoes. Chimelong Water Park is the largest water parks in Asia and holds some world-class rides including some of the top new water ride attractions in the world. This highly popular park with the largest wave pool, the longest lazy river including the first Boomerango ride in China is for sure a place for family fun. If you are seeking after thrilling rides, Chimelong Paradise a place to visit. 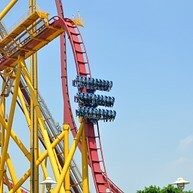 In fact, it houses over 70 rides including 10-looped roller coaster, the quickest motorbike roller coaster and the first Skating roller coaster of Asia. For the kids, there are plenty of rides for them too. Besides, offering all sorts of rides, the park also offers all sorts of performances such as magic tricks, songs and dances, acrobatics and fancy car parades. Chimelong Safari Park is the biggest wild animal theme park in Asia and home to over 500 species and 20,000 rare animals such as pandas and white tigers and many protected species like the giant salamander. The park/zoo features safari on wheels where visitors are allowed to drive their cars inside the stock area and then there is safari on foot. 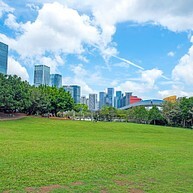 This is truly a large-scale park where to get close to animals and you can easily spend a long time here with your family. Located in central Guangzhou about six kilometres west of the popular Tianhe area, Shamian Island, has a great historic significance since it served as an important port for Guangzhou's foreign trade during Song and the Qing Dynasty. Today it is one of the most popular highlights in the city and offers enjoyable strolls among old European buildings and gardens in a more relaxed and quite atmosphere where the traffic is controlled and with streets that are partly pedestrian only. The landmark of Guangzhou, also known as Guangzhou TV & Sightseeing Tower and is one of the world's most remarkable new buildings. It serves not only as a popular tourist destination but also as an intensive facility for radio and television transmission. 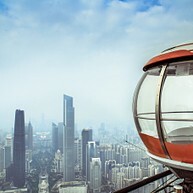 The tower is 450-meter-high and have an amazing Bubble Tram (spherical cabins) that allows you to experience the beautiful panoramic views of Guangzhou. Another must-see attraction is the Chen Ancestral Shrine with a history of more than 100 years. The hall was once an ancestral shrine, originally built in 1888 and completed in 1894. 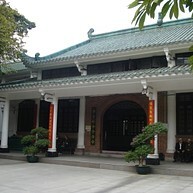 Later, it turned to Chen Clan’s Industry College and today it is home to the Guangdong Folk Arts Museum that exhibits a variety of folk arts and crafts.